In 2004, J-Rocks competed at the music competition, Nescafe Get Started, in Jakarta that were sponsored by a record label, Aquarius Musikindo. They managed to win the competition and the opportunity to contribute in a compilation album, Nescafe Get Started, which was the beginning of their cooperation with Aquarius Musikindo. Finally, they succeeded in launching their debut album, Topeng Sahabat, with record label Aquarius Musikindo in 2005 and also filled two songs on the soundtrack album of the motion picture Dealova. Those songs were "Serba Salah" and "Into The Silent". The band started to gain popularity since their second album, Spirit, in 2007. They played a variety of musical styles in the album, including: Rock 'n Roll, Waltz, Symphonic Metal, Blues, Classical music, and others. In the single "Kau Curi Lagi", they collaborated with a female guitarist, Prisa Rianzi. They also made a music video in Japan for the single "Juwita Hati". It was handled by music video director Hedy Suryawan. Some regions in Japan, including Shibuya and Harajuku were used as the shooting location. 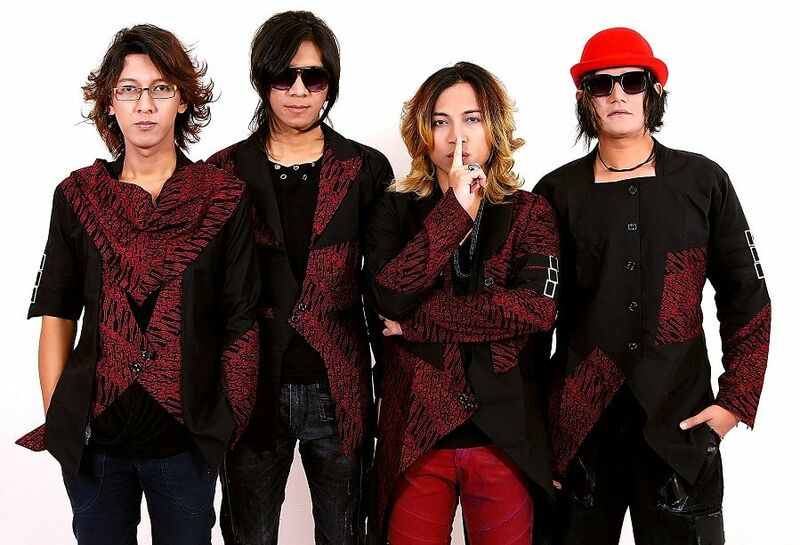 That music video has increased J-Rocks' popularity quite significantly in Indonesia.